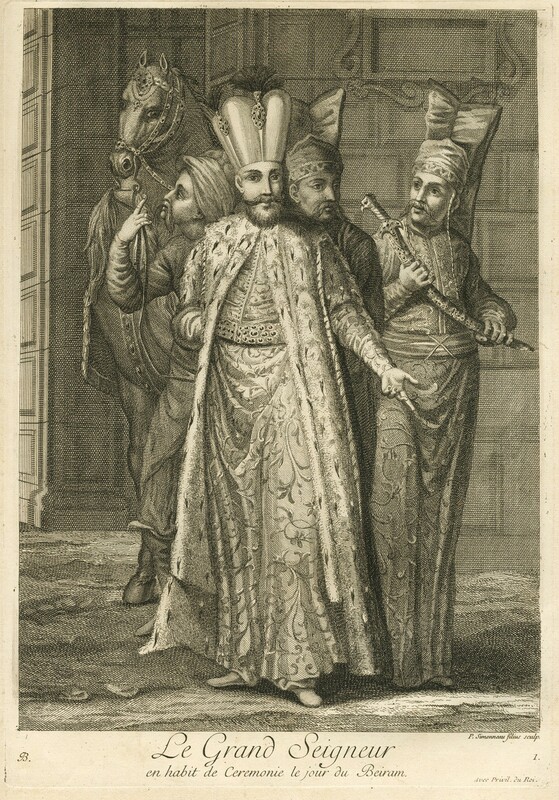 Sutlan Ahmed III in ceremonial costume on Bayram day. 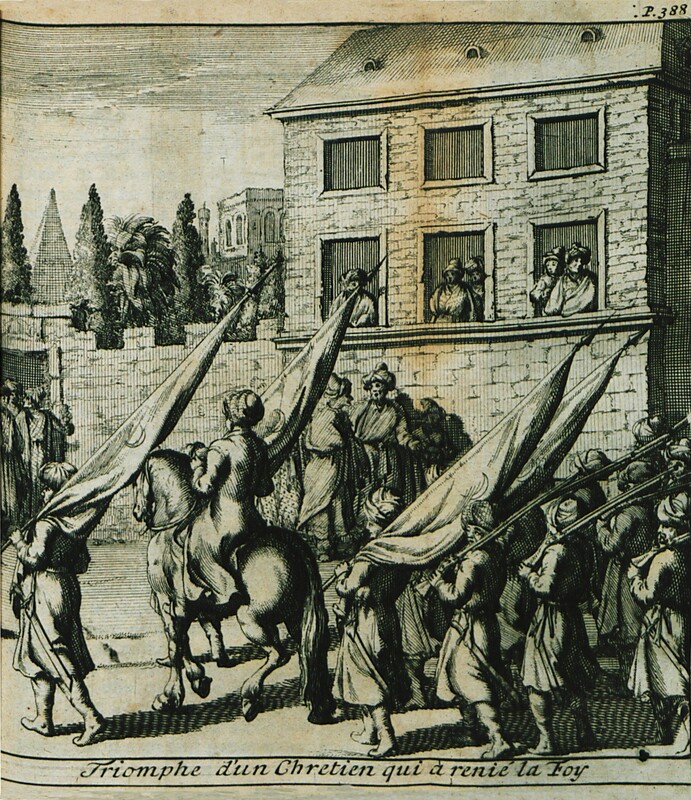 Triumphal parade of a Christian man converted to Islam. 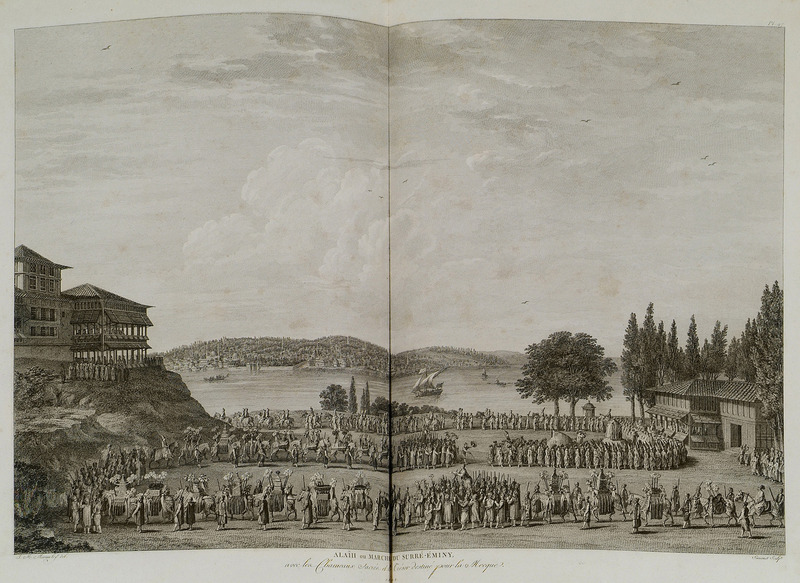 A caravan departs from Istanbul to the Holy Mosque of Mecca during the Ramadan, with sacred camels and gifts from the Sultan. 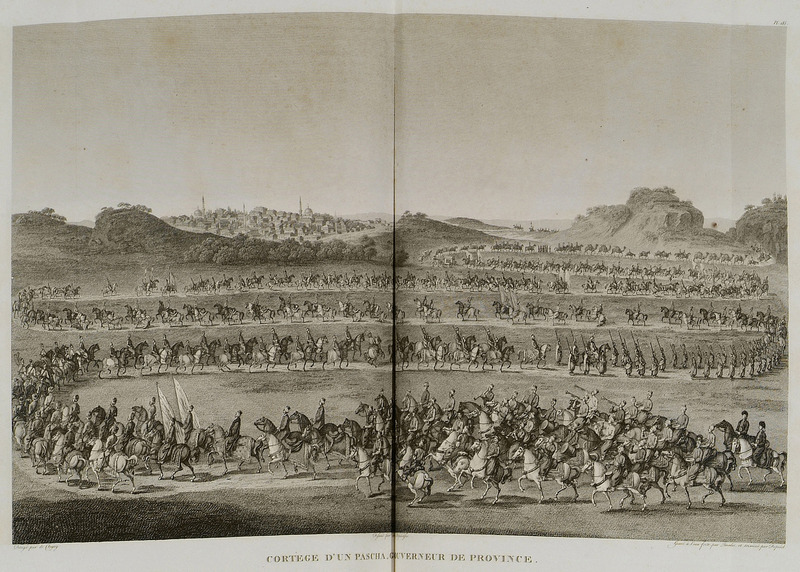 A Pasha, governor of an Ottoman province, marching towards Istanbul.